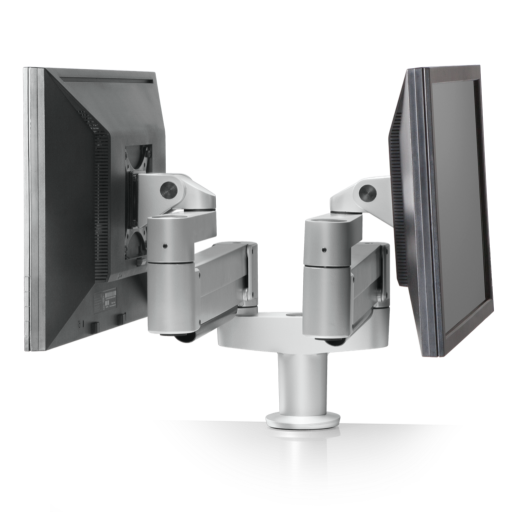 Save space and boost productivity with this convenient two monitor setup. 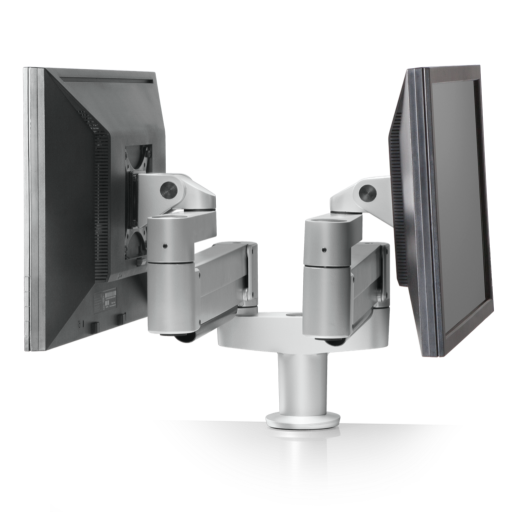 The 7000-8408 mounts dual 7000 monitor arms at one point on the desk. Ideal for multi-monitor applications. 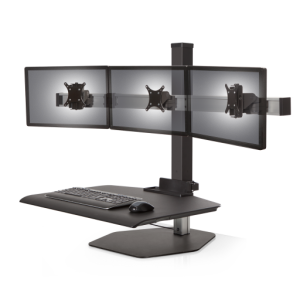 Easily mount two monitors from one point on your desk. 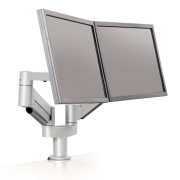 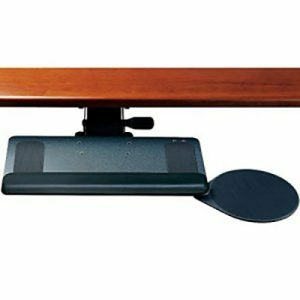 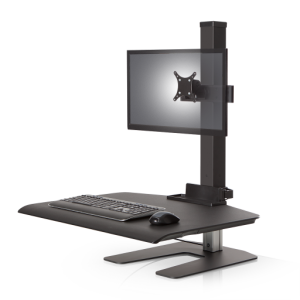 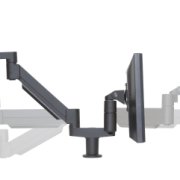 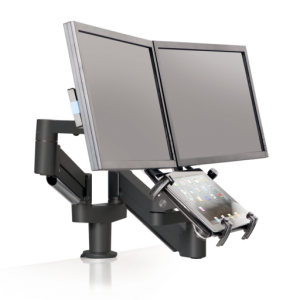 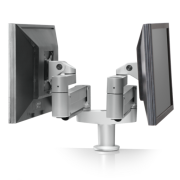 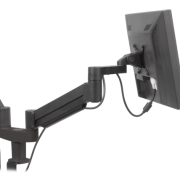 The 7000-8408 dual monitor arm allows effortless repositioning of both monitors with just one hand. 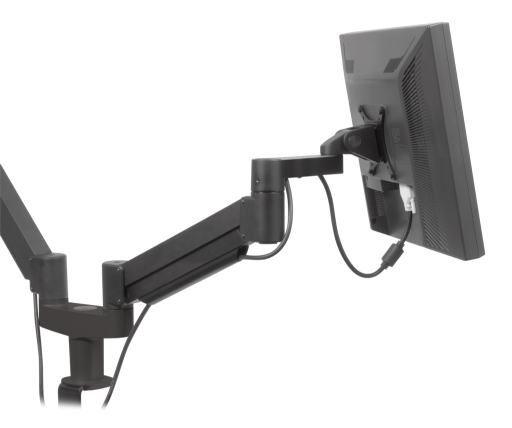 This computer monitor arm has a space-saving design and enables you to work in greater ergonomic comfort.